Tottenham Hotspur’s elation at beating Manchester City 1-0 in their Champions League quarter-final first leg on Tuesday was somewhat overshadowed by the prospect of a potential season-ending injury for Harry Kane. Kane, who has scored 24 goals this season, rolled his ankle painfully just before the hour mark after a hefty tackle on City defender Fabian Delph. The England striker left the field immediately and looks a major doubt for next week’s second leg in Manchester. He could even miss the run-in to Tottenham’s season, having already had a lengthy spell on the sidelines with an injury to the same ankle in January when he damaged ligaments. Tottenham’s Mauricio Pochettino exchanged angry words with Delph after the incident, in which the City player appeared to stand on Kane’s ankle as the pair tussled for the ball. 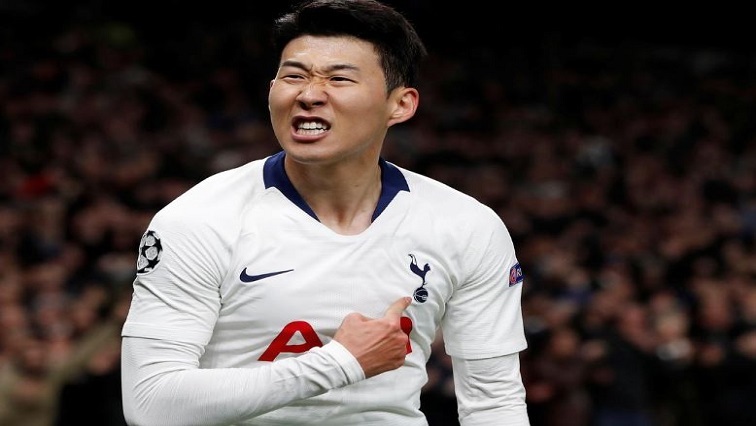 Son Heung-min, who scored goals in the four successive matches in which Kane was missing earlier in the season, rose to the occasion again to seal a crucial win for Tottenham with his 18th club goal of the season in all competitions. The livewire South Korean cut in from the byline in the 78th minute and fired a shot past Ederson to give Tottenham a slender advantage to protect at The Etihad Stadium next week, the second of three games in 10 days between the two clubs. Tottenham showed great discipline to shackle a City side who surprisingly left Kevin de Bruyne on the bench until the 89th minute, but Pochettino still reckons his side are underdogs to reach their first Champions League semi-final. FULL-TIME | Down but not out. Recover, regroup and go again in the second leg. City will need to overturn a curious statistic if they are to keep alive their hopes of an unprecedented quadruple. They have now lost all five of their European matches against English opponents, including both legs of last year’s quarter-final against Premier League title rivals Liverpool. City coach Pep Guardiola remained unruffled despite his side’s surprise 1-0 defeat. City had lost only once in their past 23 matches in all competitions, a run that had seen them lift the League Cup, reach the FA Cup final and trade top spot in the Premier League with Liverpool in a thrilling title race. They controlled large periods of the game against Tottenham, but looked vulnerable to the counter-attack and their usual slick passing occasionally seemed laboured. The quadruple remains possible but City will have to keep alive their European hopes the hard way. The post Tottenham’s Kane could miss the rest of the season appeared first on SABC News – Breaking news, special reports, world, business, sport coverage of all South African current events. Africa's news leader..